It's been a very tough week. 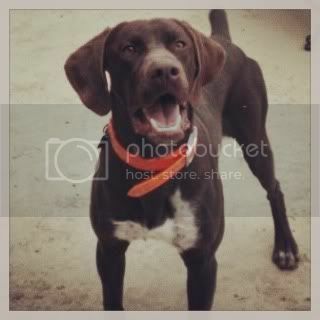 Monday evening my dogs got out of our fence and my 3yr old male shorthair, Tucker, got hit by a car and was killed. He passed away way too young. He was always full of energy and putting a smile on everybody's face, so much personality. I've learned a lot through this process. Losing a pet doesn't compare, at least for me, to losing a bird dog you've had your whole life and trained. He wasn't perfect, no dog is, but he was coming along nicely and was only getting better. He always had a huge will to please. One thing I've definitely learned is to make that extra time for your dogs even when you're busy with every day stuff. Every day when I let him out he'd run around the yard until he found a toy or ball or anything I could throw and he'd bring it to me, most days I'd throw it around for him but some I'd be busy with other things and not have the time for it. I'd give anything to throw that ball or bumper for him one last time. I never once saw him get tired. It was a freak accident and nobody's fault, just something that happened and unfortunately it cost me one of my best friends and hunting partners. I've still got Abby and it has definitely affected her. She hasn't really acted the same since. They both got out and they always stuck together I'm pretty sure she probably saw the whole thing. She's lost a friend just like I have, she doesn't leave my side as soon as I get home. 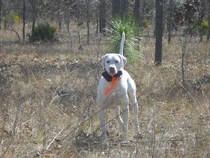 If you've never lost a hunting companion, brace yourself, it's tougher than I ever could've imagined. I know he's in a better place with more birds than he knows what to do with and he'll be waiting for me when I get there. RIP Tuck. You're missed more than you'll ever know. 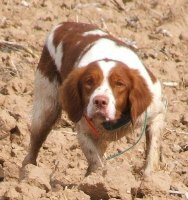 Sorry to hear, it is hard to lose a good gun dog when the life is cut short unexpectedly. Our thoughts are with you.. It's tough to lose a buddy. I feel your pain. My condolences. Always hard loosing them. He was a beautiful dog. Sorry for your loss! That's a shame. Thank you all for the kind words. It's hard. This first season without him is going to be weird. He's in a better place. I'll hunt over his point again one day. So sorry for your loss, been there and it ain't easy. Good whiskey,good dogs, no BS! Sorry to hear that. It is hard enough when they have lived a good long life but when it happens that young and unexpectedly, it is particularly hard.